Medium size Anniversary & Wedding stone pricing starts at $60. Because all natural stones are unique, size and shape will vary. 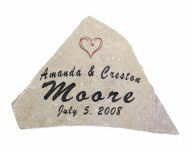 Cost is determined by the size of stone chosen, script amount, size & type, and any graphics requested. 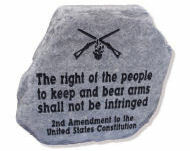 We will email a picture of the stone selected & layout of script for final approval before engraving. These can be custom engraved with the name and dates of your loved one. * Create a quote of your own. 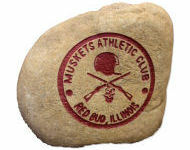 Small – Medium size Corporate Logo stone pricing starts at $30. Because all natural stones are unique, size and shape will vary. 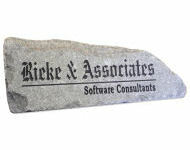 Cost is determined by the size of stone chosen, script amount, size & type, and any graphics requested. 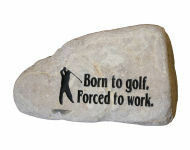 We will email a picture of the stone selected & layout of script for final approval before engraving. 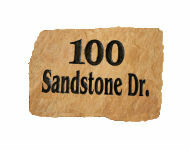 House Number stone pricing ranges from $60 – $100. Because all natural stones are unique, size and shape will vary. 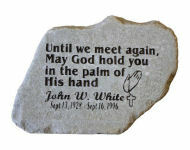 Small – Medium size Memorial stone pricing ranges from $40 – $70. Because all natural stones are unique, size and shape will vary. * Two roads diverged in a wood and I – I took the one less traveled by, and that has made all the difference – Robert Frost. 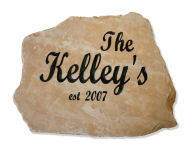 Small Name Plate stone pricing starts at $25. Because all natural stones are unique, size and shape will vary. 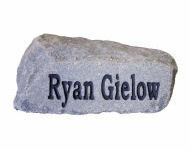 Medium – Large size Pet Memorial stone pricing starts at $60. Because all natural stones are unique, size and shape will vary. 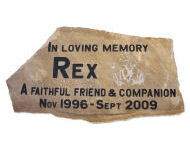 Can be custom engraved with the name and dates of your lost pet. 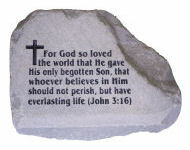 Medium size Scripture Verse stone pricing starts at $40. Because all natural stones are unique, size and shape will vary. * Pick a scripture verse of your choice – ie: Baptismal or Confirmation verses with name and date inscribed. 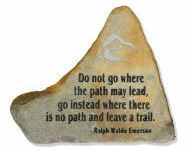 Small – Medium size Sports Quotes stone pricing starts at $30. Because all natural stones are unique, size and shape will vary. * I’ve spent most of my life hunting. The rest of it I’ve just wasted.